Saquon Barkley and Bryce Love faltered, and Baker Mayfield seized the moment. 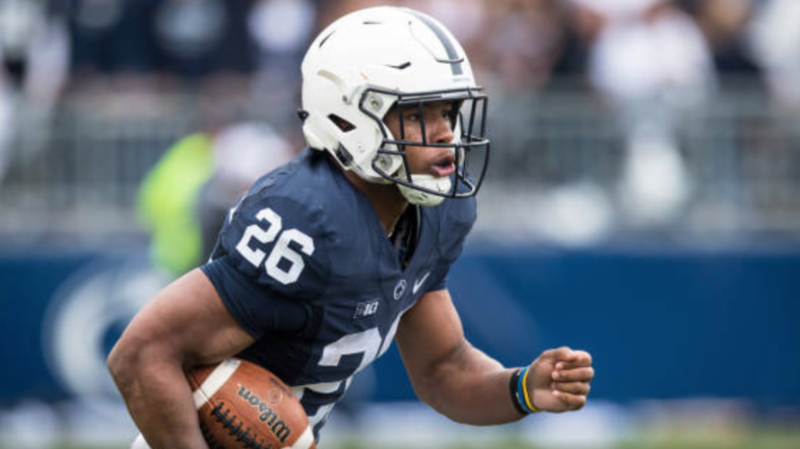 Our poll last week had a first-place tie between Penn State’s Saquan Barkley and Stanford’s Bryce Love. J.T. Barrett also re-entered the race with Ohio State’s dazzling comeback win over the Nittany Lions. What a difference a week makes! It was an awful week for Heisman contenders. Barkley and Penn State fell to Michigan State. Stanford and Love lost to Washington State and Barrett’s Buckeyes were run out of the stadium by Iowa. With the top three vote-getters from last week all face-planting, who would rise up and take their spot? Let’s take a look at our fifth poll for 2017 and see how our voters see the race through nine weeks of the college football season. Last week: 24 of 36 passing (71.7% completion rate) for 598 yards with 5 TD and 2 INT and 95 yards rushing. Season: 195 of 272 passing (71.7%) for 3266 yards with 28 TD and 5 INT. 181 yards rushing with 5 rushing TD. Mayfield is the Heisman contender that’s performed well in every game this season. Even in the Sooners’ lone loss, Mayfield was brilliant, completing 24 of 33 passes for 306 yards and two scores. Given his consistency, I’ve moved him into the top spot this weekend. When you roll up nearly 600 yards in a must-win game over a chief rival at their place, you tend to find yourself at the top of lists like these. That might go down as the best individual performance all year, and it kept the Sooners in the CFB Playoff race while sticking the fork in their biggest rivals. Whatever bravado people think he has, Mayfield backs it up. On a day that saw a number of worthy candidates struggle to impress in the box score or lead their team to victory, Baker Mayfield was flying high in a big win over Oklahoma State. As of right now, this is his award to lose. It feels reactionary to put Mayfield at the top after he was on the outside of what looked like a two-man race, But obviously, the Heisman is — or should be — determined by the totality of a season. 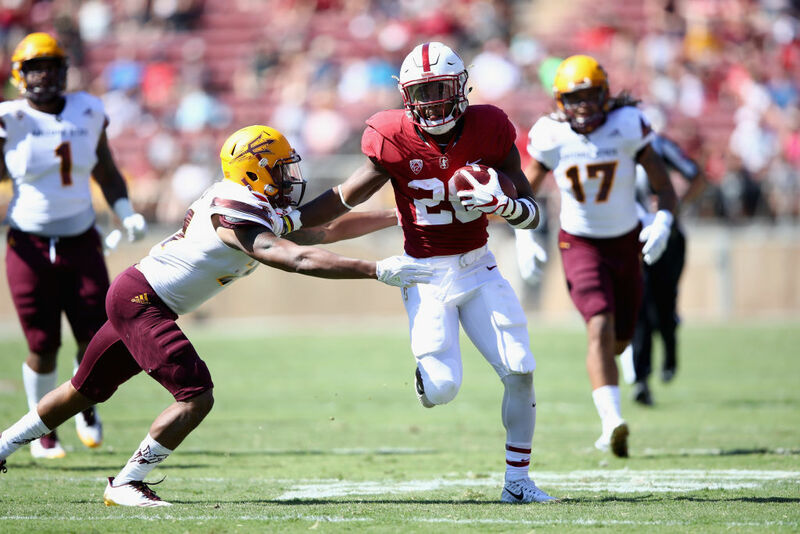 Saquon Barkley has been trending downward and Bryce Love was mediocre in a Stanford loss, while Mayfield had the game of his career in a must-win game for Oklahoma. He’s been good every week, but putting up his two best performances in the Sooners’ two most important games is impressive. Season: 1456 yards rushing on 151 carries (9.6 ypc) with 12 rushing TD. Last week: 63 yards rushing on 14 carries (4.5 ypc). 3 receptions for 33 yards. 1 for 1 passing for 20 yards. Season: 864 yards rushing on 152 carries (5.6 ypc) with 9 rushing TD. 39 receptions with 3 receiving TD. 2 for 2 passing for 36 yds and 1 TD. 2 kick-off return for TD. 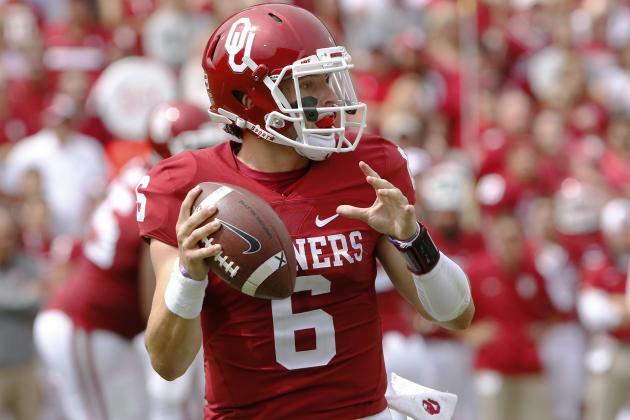 – Waiting in the wings last week was Oklahoma’s Baker Mayfield. Oklahoma and Oklahoma State put on an offensive duel as the Sooners put up 38 first-half points and scored a total of 62 points to beat the Cowboys by 10 points. Mayfield threw for almost 600 yards and in a week where nobody seemingly wanted to step up in the Heisman race, Mayfield was the lone bright spot among candidates. Whether it was his performance or the lack of performance of his peers, Mayfield is head and shoulders above his competition as he received our unanimous vote as the Heisman Trophy leader. – After Mayfield, the voters struggled to find worthy candidates. Bryce Love was the only candidate to receive two second-place votes. Saquon Barkley, Rashaad Penny, McKenzie Milton and Lamar Jackson all received second place votes. West Virginia QB Will Greer and Georgia LB Roquan Smith broke into the voting for the first time this season as voters searched for a worthwhile candidate. – The Heisman looks like it’s Baker Mayfield’s to lose, but there is still a lot of football left to be played. Take nothing away from Mayfield’s performance this year, but it feels like we are still waiting for someone to step up and seize a moment this year — a Heisman moment.